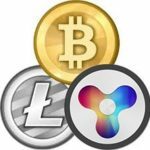 Cryptocurrency trading has drawn enormous attention over the recent few years culminating in 2017 by expanding into the public sector. This couldn’t remain unnoticed by various crooks who decided to capitalize on the lack of experience of many newcomers. One of the major scam projects in the history of digital currencies is BitConnect, in which investors suffered losses worth 2.2 billion U.S. dollars. The revolution in cryptocurrencies proclaimed by the founders looked more than tempting. The founders of BitConnect were promising all traders and investors financial independence thanks to a 40 percent total return per month with no risk. A four-tier investment system was based on the sum of initial deposit – the more cash you put down, the bigger and faster profits you could rake in. Anyone holding a BitConnect coin in their wallet was supposed to receive interest on their balance in return. With its massive investment in marketing, BitConnect relied on an aggressive marketing strategy on all fronts – social media and other channels. The company had enlisted a large army of marketers to recruit new investors, who could then work their way up by bringing in even more new investors – and so on and so forth. Nobody was put off by things looking too good to be true. However, this didn’t fool some of the experts from the industry who voiced their doubts about the project. Despite these warnings, BitConnect continued to pick up momentum. Other famous crypto fans, YouTubers and influencers were describing the project in bright colors (… obviously not thanks to the project’s quality but because of the money they received for this publicity). A strike-off notice published in November 2017 by the British Registrar of Companies that it may shut down the company and dissolve its operation was not enough to convince the backers. BitConnect was given two months to prove that the accusations were not true. Though, this ultimatum came too late. In mid-January 2018, the world’s media reported in their news that BitConnect had gone bankrupt. In reality, BitConnect did not make any trades with cryptocurrencies. No investing, no mining. The whole thing was nothing but a pyramid or Ponzi scheme paying users high yields from their own deposits. On top of that, this kind of “investing” was conditioned by buying BCC (internal BitConnect currency). This allowed the authors of the project to define the prices having in fact two income resources. From the perspective of their fans, neither was a sensible investment. All people investing in BitConnect were unknowingly sending money one to another. This system couldn’t exist forever. Some investors managed to withdrew their money before the collapse but the majority did not. By the way, why would you discontinue an investment that has been for years “highly profitable”? On 16 January 2018, all transactions in the BitConnect network were stopped and users paid the current value of their devaluated assets. 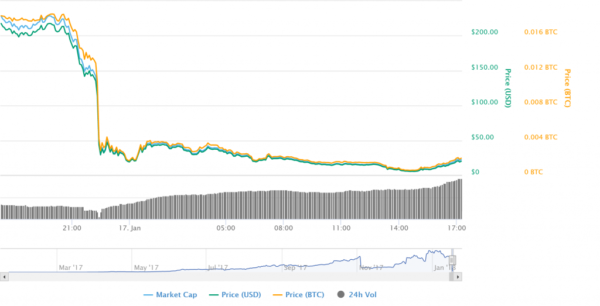 In the aftermath of the announcement, within a few days BCC collapsed instantly from USD 440 to USD 4, a monstrous 99-percent decrease in value. The collapse still continues. The January collapse of BitConnect does not mean that the risks have disappeared. While the Bitcoin investment platform is practically defunct now, it has inspired a slew of copycats, including BitConnectX and Ethconnect. The very idea of luring in a user by offering marvels, rake in money and go dark is nothing new or unique. But what shall one do to avoid being fooled? Before you start your trading, instead of relying on what the company is promising at its website, you should thoroughly screen each operator by using multiple resources. As to the BitConnect case, one of the signals was the poor quality of English grammar in their website texts indicating a lack of willingness to hire a quality translator not to lose their 100% anonymity. The fact that you couldn’t find any names or data about the founding team was a typical sign observed in similar scam projects such as Bitcoin Bank. As you could read from numerous news servers, the team’s anonymity was not perfect. In August 2018, one of the key authors behind this scam was arrested at an airport. He was carrying more than 140 bitcoins and nearly 7 pounds of gold. The total value of his “backpack” exceeded one million dollars.